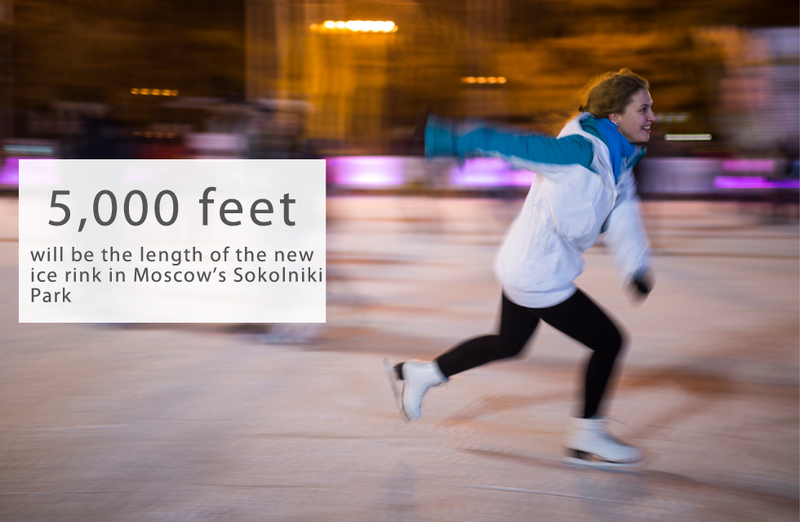 Number of the week: Just how big is Moscow's enormous new skating rink? As part of Moscow's preparations for winter, a new ice rink is to be built in the forest at Sokolniki Park in the northeast of the city. Located near the Golden Pond, the skating area will be 1.5 kilometers (5,000 ft) long. The rink will be located near a tea house where skaters can relax, warm up and eat.